BOCA RATON, FL (February 13, 2013) –AWH Partners, LLC and The Lane Organization LLC jointly announced that the international renowned award-winning Gensler design firm has been selected to lead the architectural, interior design, and brand transformation of the Boca Raton Bridge Hotel. 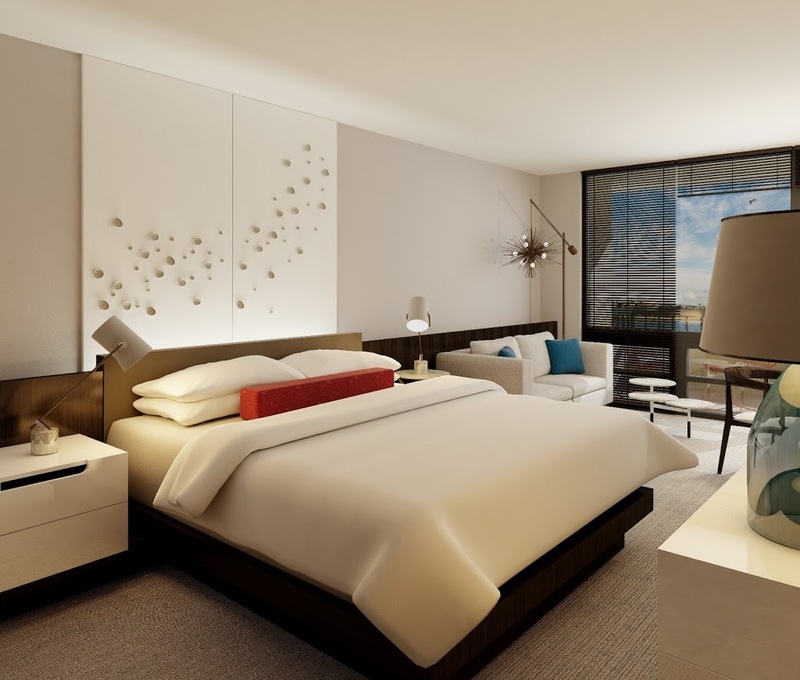 With Boca Raton City Council approval granted yesterday on Gensler’s reinvention concepts, the comprehensive transformation of the boutique hotel into a four-star status will begin in May 2013. The Bridge Hotel remains one of Boca’s most notable, operating as a traditional hotel, as new ownership repositions and reinvents it to be more relevant and exciting to meet the desires and needs of today’s discerning vacationers as well as social and business guests. Led by a seasoned team of designers and hospitality, operations, management and marketing consultants, the hotel is being completely transformed into a premier South Florida experience with its own newly positioned distinctive signature in the destination. “We are excited to introduce Gensler’s extraordinary vision into the complete re-imagination of this beloved Boca icon,” noted Russ Flicker, managing member of AWH Partners, LLC., a joint venture between August Group Ventures, LLC and Winston Harton Holdings, LLC. Gensler is a leading award-winning global architecture, design, planning, and strategic consulting firm that partners with companies to achieve measurable business and organizational goals through design. For more than 45 years, it has been a pioneer in creating great places that enhance the quality of work and life. Today, Gensler has more than 3,500 professionals networked across 43 locations. During the last year, Gensler worked in 86 countries with 2,248 clients. Among its most notable hotel designs are the Shore Hotel in Santa Monica, California; The Ritz-Carlton Hotel and Residences and JW Marriott at L.A. Live, Los Angeles, CA; and Hotel Monaco, a Kimpton boutique hotel in Philadelphia, Pennsylvania. Gregory Flis, Design Director with Gensler who leads the Boca Raton Bridge Hotel project, shared that preliminary concepts take inspiration from the hotel’s unique position directly on the water. The preliminary phase of the Bridge Hotel’s major “reinvention” plan to position the property to luxury boutique hotel four-star status was launched in November 2012 with the construction of the hotel’s new “waterfront promenade” that flanks the property’s entire Lake Boca perimeter. The hotel’s complete transformation led by Gensler will include the introduction of entirely new hospitality and dining concepts, further expansion waterfront amenities, and extensive reorientation and renovations of public spaces, guestrooms, and restaurants. Reinvention plans will take optimal advantage of the property’s most distinctive assets: its prime location — on the Intracoastal Waterway and Lake Boca with direct access to Atlantic Ocean — and its breathtaking water views. AWH Partners, LLC, identifies and acquires outstanding assets in key locations that require operational and physical repositioning to achieve their highest and best use. The Bridge is an established community icon in an enviable locale with a longtime history serving as the locals’ favorite “guesthouse” for visiting friends, family, and colleagues. The acquisition afforded the partnership the opportunity to return to South Florida to expand its presence add another “hotel repositioning success story” to its burgeoning portfolio. The Lane Organization LLC enters into cities to reposition assets and team up with management firms who can assimilate to their locations while standing out amongst the competition. Lane Hospitality, the management firm for the Boca Raton Bridge Hotel and unrelated to the Lane Organization LLC, is committed to preserving, protecting and enhancing the value of hotel real estate, and provides expertise in all facets of hospitality management and brand marketing. The Boca Raton Bridge Hotel, one of Palm Beach County’s boutique icon hotels with panoramic water views from every guest room, is located where the Intracoastal Waterway and Lake Boca Raton meet at 999 East Camino Real in Boca Raton. For hotel reservations, visit www.bocaratonbridgehotel.com or call (561) 368-9500; for dining updates at WaterColors or reservations for Carmen’s award-winning Sunday Brunch, call (561) 886-4570 or visit www.opentable.com.